Jean Kay is an inspirational poet whose passion is to inspire and uplift through her work. I love to be able to brighten someone’s day with one of my poems. When they can see beyond their challenges into a brighter possibility, then I have done my job. Commissioned poems for birthdays, weddings, anniversaries, retirements, etc. have made unique gifts for my clients to share. The recipients are always amazed that someone they don’t know has written a poem about them. I have always been able to express myself through poetry, but didn’t realize what a great gift it is until my adult years. I have written a poem every morning since October 1997. I took early retirement from Canadian Airlines/Air Canada in 2000 and concentrated on publishing my poetry. My book Morning Light is a collection of 121 of my poems, it is available onAmazon http://goo.gl/L8ALQE Christmas Poetry to Inspire is a Kindle e-book of Christmas poems and also available on Amazon http://goo.gl/1NRL6n I write commissioned poems for birthdays, weddings, anniversaries, retirements, graduations, memorials, etc. They can be ordered on the Commission a Poem page. You can sign up for my mailing list on the Contact page. Jean also maintains membership with The Ontario Poetry Society and World Poetry Reading Series Society. Check out her YouTube debut. Jean Kay was born in England and moved to Canada, with her family, as a girl of 10. Edmonton, Alberta was her first Canadian home, then Prince George, Fort St. James, Ladner, Vancouver, Steveston and now Tsawwassen, all in British Columbia. She has always been able to express her thoughts and feelings by writing, and most often in the form of poetry. Jean has dedicated the first half hour of every day since August 1993 to writing, before she eats, drinks or speaks. Since October 1997 it has been a poem every morning that Jean has created. She first uses three oil pastels to express with color in an artist sketchbook, next she writes a statement beginning with the words “I am” and then begins to write on the opposite page. Her ability to do that still amazes her. Jean took early retirement, in October 2000, from her career as Sales Events Coordinator for Canadian Airlines. She is now in refirement, a word Jean coined to describe her life as a poet, meaning “all systems go”. Jean self-published her first book of poetry in 1999 titled In the Early Morning Light. In 2004 Jean’s book of 121 inspirational poems titled Morning Light was published. Christmas Poetry to Inspire is the title of Jean’s first Kindle e-book, which she created in December 2015. It is the first is a series of Poetry to Inspire e-books. Jean’s company is J K Creations, and she specializes in creating poems on request for birthdays, weddings, anniversaries, retirements, graduations, memorials, etc. Jean’s books are sold on Amazon, her framed poems, bookmarks, and prayer cards are sold at craft fairs or from her home studio. A ½ hour TV interview about Jean and her poetry was aired on a local TV network every 4-6 weeks for 3 years. 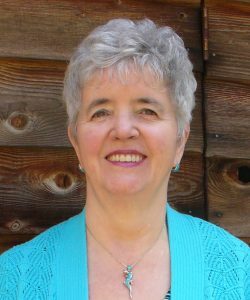 Jean has had poems published in several anthologies, is a regular contributor to newsletters (15 years monthly for one of them), has had articles published in both print and online magazines, and her laminated prayer cards are in many readers wallets. She is a professional member of Canadian Authors-Metro Vancouver and is treasurer, short story contest coordinator and does the layout, design and compilation of their anthologies. Jean is a member of the Evolutionary Business Institute, World Poetry, and The Ontario Poetry Society. She recites her poems at several local events and conferences. She also enjoys singing as a member of Elder College Singers, volunteering at the KinVillage Community Centre and commentating their fashion shows. Copy editing is something Jean enjoys and she is currently editing a weekly online newsletter and a full-length novel. In honour of Canada’s 150th Anniversary, Jean composed both music and lyrics to a new song Canada, Our Canada. You can hear it being both recited and sung on her YouTube channel. Jean has two adult sons, a step-son, two daughters-in-law, five grandchildren, and three great-grandchildren. She treasures her role as Granny and GGMA. She and Jerry reside in Delta, BC, Canada with their adorable cat. Poomba helping us to a jigsaw puzzle! I really enjoyed the poem today on Love!